Living in a desert town helps you to better understand how important water is and why its use needs to be monitored. I grew up in a place where there was plenty of rainfall and other moisture throughout the year, but when work took me to a warmer climate, I needed to learn how to adjust. Most of the homes I lived in growing up didn’t have sprinkler systems to water the lawn-they didn’t need them because it rained/snowed enough that putting a system in would be a waste of money. It was a rare thing to hear anyone say that we were in a drought and that there were regulations on when you could use water during the day. When I moved, all of that changed and I had a lot to learn. One of the first things that I needed to deal with more often was using a sprinkler system. Although we live in a desert town, it still gets cold enough during the winter that it snows and pipes can freeze. I learned this the hard way. We arrived in a summer month, and we noticed that the lawn sprinklers would come on very early in the morning and after seven at night. I thought it was kind of a weird thing and mentioned to a neighbor and he told me it was probably because on the water conservation in the area. He went on to tell me that watering the lawn between 7 a.m. and 7 p.m. was illegal and that you could be given a ticket if you were found using that much water at these times! After getting used to this restriction and learning a little more, I thought I had learned what I needed to know to be able to get by. I was wrong. The winter came and I didn’t drain out the system, since I had never dealt with one before, I didn’t know that it was important. When spring came and I felt it was warm enough to turn the system back on, it was a disaster zone. Some sprinklers weren’t getting enough water to them to pop up while others were leaking and leaving huge puddles of water on the lawn. I went to a supply house and learned that since I hadn’t drained my system, it was most likely that the water in the pipes had become frozen, and that the process cracked the pipe. I had to dig up the system and repair each section that was broken before the system would work correctly. Since water was a little more scarce and we were constantly living in a drought, we had to learn some different things we could do to conserve water. Most of these things were just small practices that we would do every day, but as the years went on, companies started to design more efficient products to decrease the use/consumption of water. For example, toilets have become more efficient by using less water per flush and shower heads have been designed to let less water out during a shower. 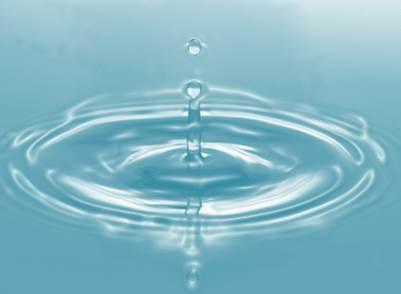 On some tips you can use to help conserve water and save on your bill, click here.